Easter Camps - booking now open! We are pleased to confirm we will be running camps BOTH weeks over the Easter holidays. 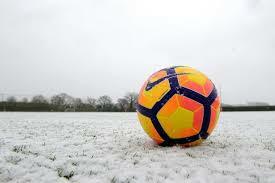 ALL ONSIDE TRAINING ON SATURDAY 2ND FEBRUARY 2019 IS CANCELLED DUE TO WEATHER. THIS INCLUDES OLDFIELD ROAD & BUSHY PARK LOCATIONS. ANY UPDATES RELATING TO TRAINING SESSIONS AFFECTED BY WEATHER WILL BE FOUND HERE! Unfortunately due to a low take up we are not able to run the sessions from Bushy Park. However, we also run sessions on Saturday mornings in Oldfield Road, Hampton on the grass field next to St Mary's primary school. Your child is more than welcome to join our session there. Please be assured that we will run full sessions back at Bushy Park from January 2019. October 2018 Half Term Camps - now taking bookings! We are running camps from 22 October to 26 October at St Richards Primary school and Westbrook Primary School. Please visit our bookings/payments page to secure your childs place! Saturday 26th May and Saturday 2nd June - no training will be taking place. Midweek training during half term (28 May - 1 June) will also not be taking place. Please check out our half term Football and Multi Sports camps which are taking place at St Richards Primary School, Hanworth. Come and join in the fun with our Football & Multi Sports Half Term Camps! Thank you to all those who attended one of our Easter camps, we hope you all had a fantastic time! 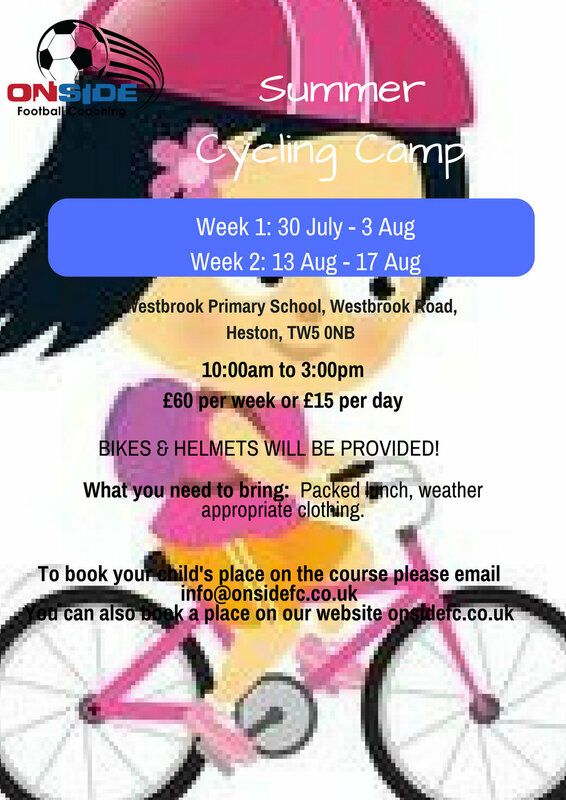 We will be running further camps during the summer holidays, so please keep an eye out for flyers! Our Summer training sessions and After School clubs kick off week commencing 23rd April 2018. EASTER 2018 FOOTBALL CAMPS - READY TO SIGN UP! JUST TO CONFIRM THAT ALL ONSIDE AFTER SCHOOL CLUBS RETURN THIS WEEK. IF YOU ARE YET TO SIGN UP PLEASE COMPLETE A BOOKING FORM AND MAKE PAYMENT TO AVOID MISSING OUT!! FOOTBALL CAMP AND SPORTS CAMP AT ST RICHARDS SCHOOL 23RD - 27TH OCTOBER! !